You should consider the points you get for a performance for that event only. If you score 50 on one day, it could be an 85 from another judge for the same performance. The only truly meaningful comparison of your own performance scores over time would require the same judge, the same event, the same competitors playing the same tunes in the same playing order, under the same circumstances—impossible. Not a bad performance but still needing improvement. Notice the comment about “rounding.” This means I didn’t play the “dot cuts” crisply…does that sound familiar? The chanter was also not in tune with the drones. Where you place in an event is much more telling than the score on your sheet. 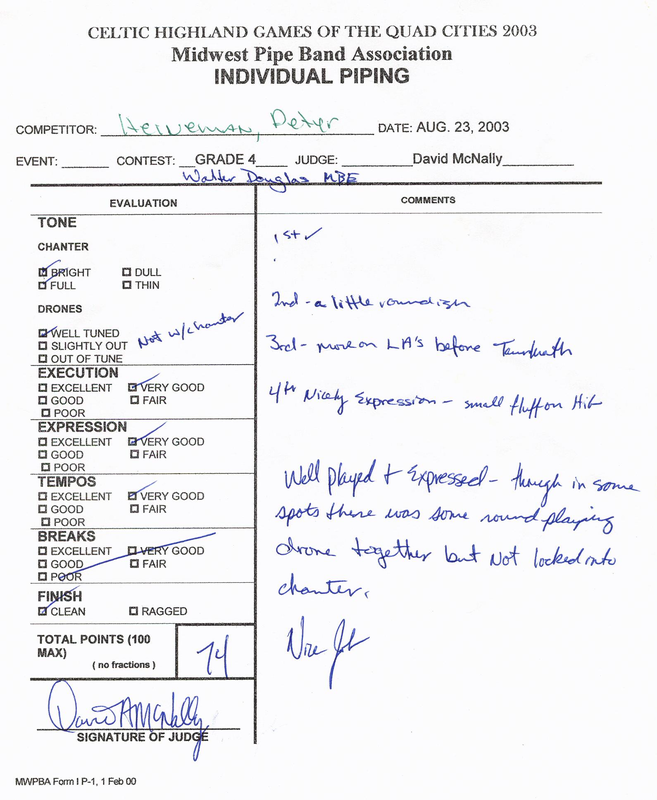 Use the feedback to polish your performance and improve your piping skills.